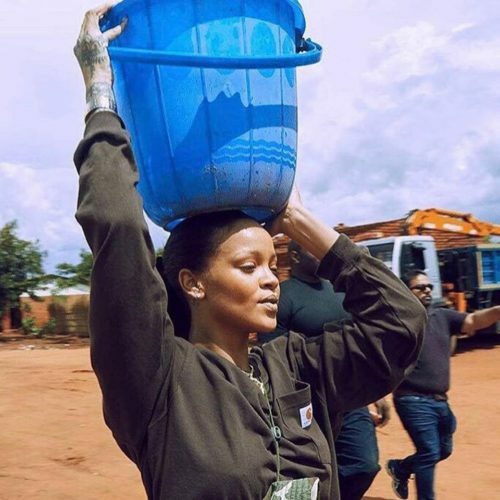 These Pictures of singer, business mogul and philanthropist, Rihanna in Malawi carrying sand and water to help build a hospital has just melted our heart and its a humble lesson to all humanity. No doubt when one hears about Robyn Rihanna Fenty, the first thing that comes to mind is she is super talented with music and one of the best in the game. Rih-Rih, as her many fans call her is also known widely for her stunning taste and red carpet turn-up fashion which earned her a Fashion Icon award in 2014. 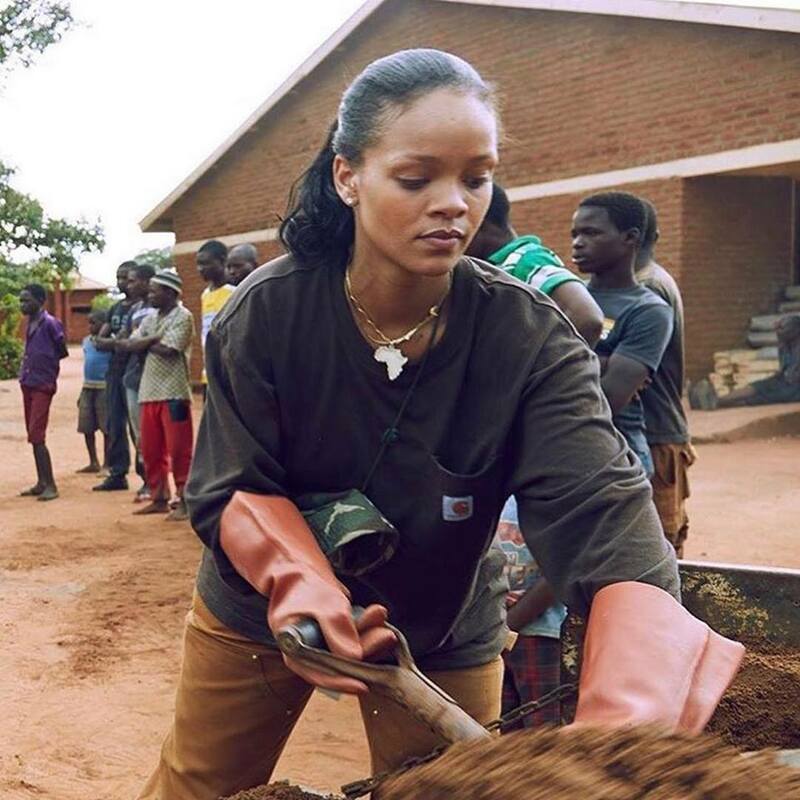 What many fail to recognize is the fact that other than gracing our screens and surprising fans album after album, Rihanna is also a philanthropist whose heart is deep in helping out people in need by running non-profitable charities. Rihanna, who owns Savage X Fenty fashion line, amongst other charities under her belt also opened a fundraising organization Clara Lionel Foundation (CLF) which funds many programs like Children’s Orthopedic Center and the Mark Taper-Johnny Mercer Artists Program. Her participation in these charitable events saw her named “Humanitarian of the Year” by the Harvard Foundation of Harvard University in 2017. The business moguls latest achievement came on 21 September 2018 when the government of Barbados, her birthplace, called her an Ambassador at-Large. This title allows her to promote investment, tourism and education in the region. Her most recent acts that caught the eyes of many of her followers was her tour to Malawi as a Global ambassador for Global Partnership for Education. 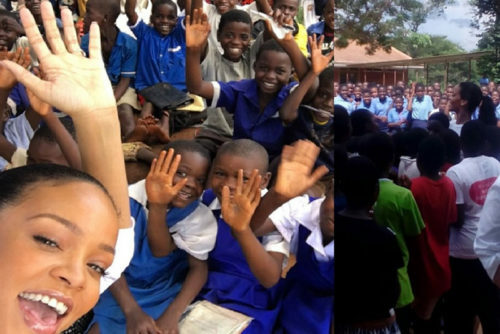 On this trip, the singer explained that she wanted a firsthand experience of the Malawian children where half of the population lives below the poverty. During this recent trip, a make-up free Rih-Rih mingled with children where she also set aside time to teach them mathematics. Pictures posted on her social media showed the celebrated cheerful hits maker even balancing a bucket of water on her head and shovelling soil as she worked with the benefactors. 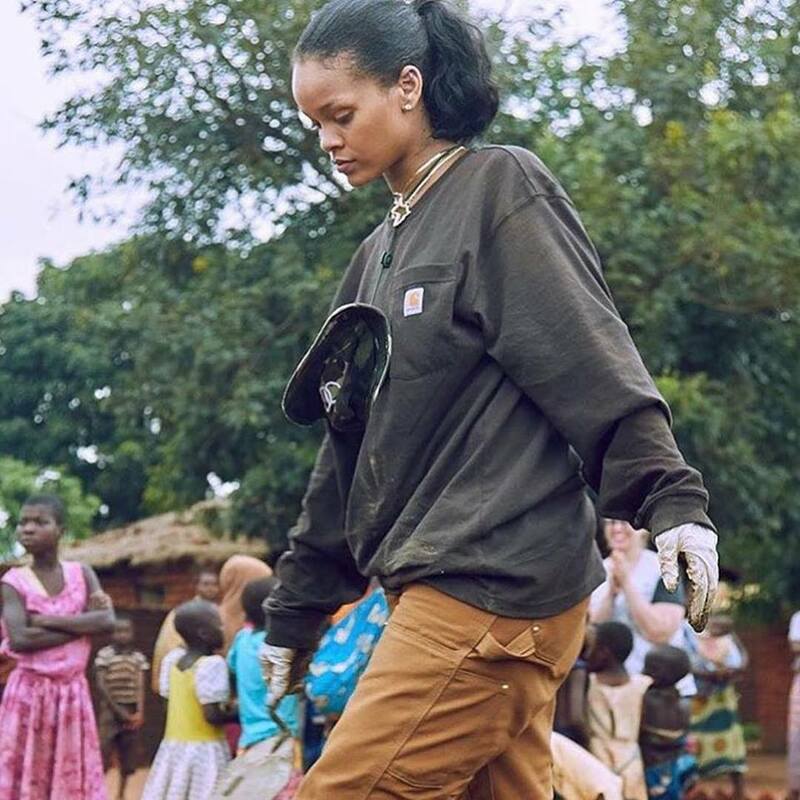 Rihana! She is a God fearing women that love to lay good example for the incoming generation i.e Almighty God will reward her…Amen. This vety great Rihanna. You are down to earth. Please continue wish such kind heart. 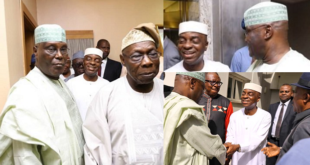 May God reward you for the services rendered to humanity. HERE IS AN OPPORTUNITY FOR YOU.